Escape the crowds and sink into luxurious surrounds whilst enjoying a sumptuous champagne afternoon tea at the Conrad London St James. This elegant 5 Star hotel is perfectly placed for exploring London’s top attractions and is only a stone’s throw from Big Ben, Westminster and Buckingham Palace. Afternoon tea is served in the bright and airy surrounds of Emmeline’s Lounge. Their plush sofas and armchairs are ideal for enjoying this mouthwatering afternoon tea experience. Served on classic, three tiered cake stands, tuck into a tasty seasonal selection of delicate finger sandwiches. 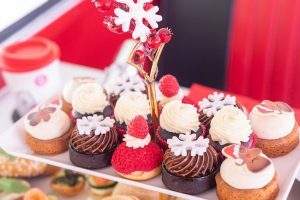 Delicious sweet treats which include bite size cakes, pastries and freshly baked scones will set your taste buds tingling. Your afternoon tea is served with a bottle of chilled G.H. 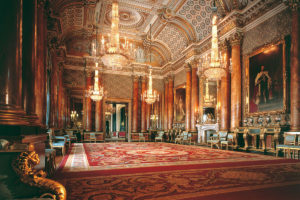 Mumm Champagne, the official Champagne supplier to Her Majesty Queen Elizabeth II. No afternoon tea is complete without a refreshing brew and the Conrad’s experienced Tea Sommelier will guide you through their inspired collection of teas, carefully sourced from around the world. 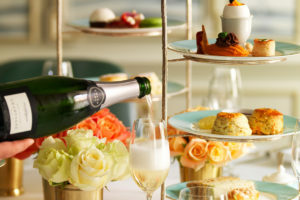 This exquisite champagne afternoon tea at the Conrad London St James is available to buy as an afternoon tea voucher from Virgin Experience Days. Priced at £90 for Two people this is a great deal for a venue of this calibre and it would make the perfect gift for someone celebrating a special occasion, or who simply deserved a treat. The afternoon tea voucher is valid for 9 months, so plenty of time to organise a day out with friends.